What age were you when the creative bug summoned you to become involved in fashion? When did how to design clothes become an idea that kept popping up in your mind over and over. Suddenly your desire couldn’t be contained and you had to really figure out just how to design clothes professionally? How do fashion designers get started? What schools do fashion designers go to? Do I have to go to fashion school to design clothing? In this article I will talk about how to design your own clothing even if you have no experience at it and give you the scoop on fashion design 101. Going to a fashion school is a huge investment. However, it is important to realize that any dream you go after will always involve investing in yourself. If you don’t believe enough in yourself to invest in you then who will. But say for now, fashion school isn’t an option. If you are in high school, you could maybe even take a family and consumer sciences or career and technology education (CTE) fashion class. Many of these FCS fashion classes cover how to design your own clothes along with fashion marketing. If you are out of high school already and you want to learn how you can design clothing there are still options for you. You could enroll in a local fashion class or even take a fashion class online. Those are a couple of ideas that can help you learn how to design your own clothes. 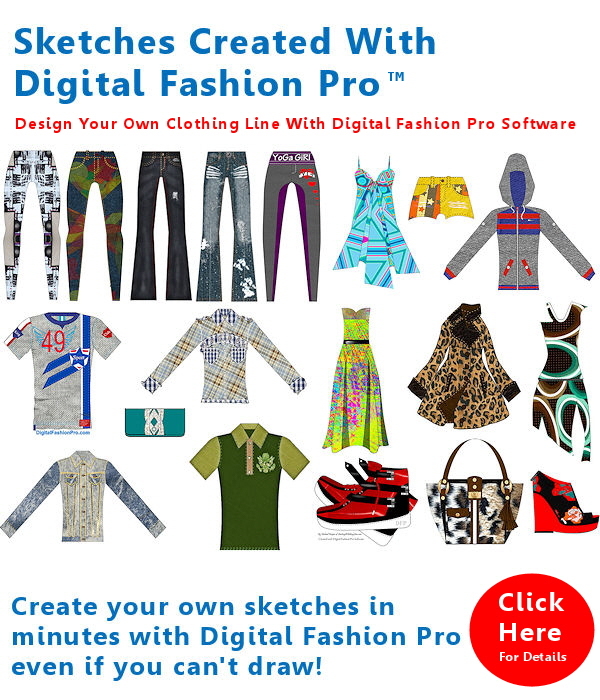 Another option could be to get a fashion design software program like Digital Fashion Pro that also comes with training that teaches you how to go about designing clothes. The awesome thing about using this program is you do not have to know how to draw to create your own fashion designs. In other words, you definitely have options available that can help foster your love of fashion. All fashion designers love to see their clothing vision come to life whether it be on paper, computer or as a real garment made from those fashion sketches. A part of learning how to design clothing is tapping into your inspiration. Your creative muse or inspiration will be the characteristic that will separate your fashion designs from other designers. How will you let your inspiration influence you? Will you allow it to speak as you begin to draw out your vision? Does hearing a certain song inspire you? Maybe you are clicking through an online fashion magazine and an idea pops in your head. Maybe you were watching a television show and something someone had on caught your attention. What Market Are You Designing Clothing For? The next thing to consider is what market are you designing your clothing for? This will play a part in how to design clothing and what features need to be present. Are you designing for men, women, kids or fashion accessories? Are you designing apparel for plus size or for a certain group within the overall population? Just the other day, I came across a story on ABC News about a mom name Lauren Thierry who created a clothing line for kids with autism inspired by her son Liam who has autism. Maybe you want to design handbags or swimwear. Once you pick your target audience you can begin designing clothing or even create custom clothing just for you. Now that you are inspired – what comes next? What are the steps to designing your own clothes? Here is the quick fashion design 101 guide so you can bring your fashion ideas to life! Inspiration for the design. Take a photo of your fashion inspiration if applicable with your iPad, iPhone, Samsung Galaxy or other smartphones or digital camera to remind you of the idea. Keeping a visual cue will go a long way when it comes to recreating the idea. If you are out, take down notes or doodle out a rough draft. Just make sure you do whatever it takes to keep the idea fresh in your head. Once you are home or have your fashion design tools ready – create the design. 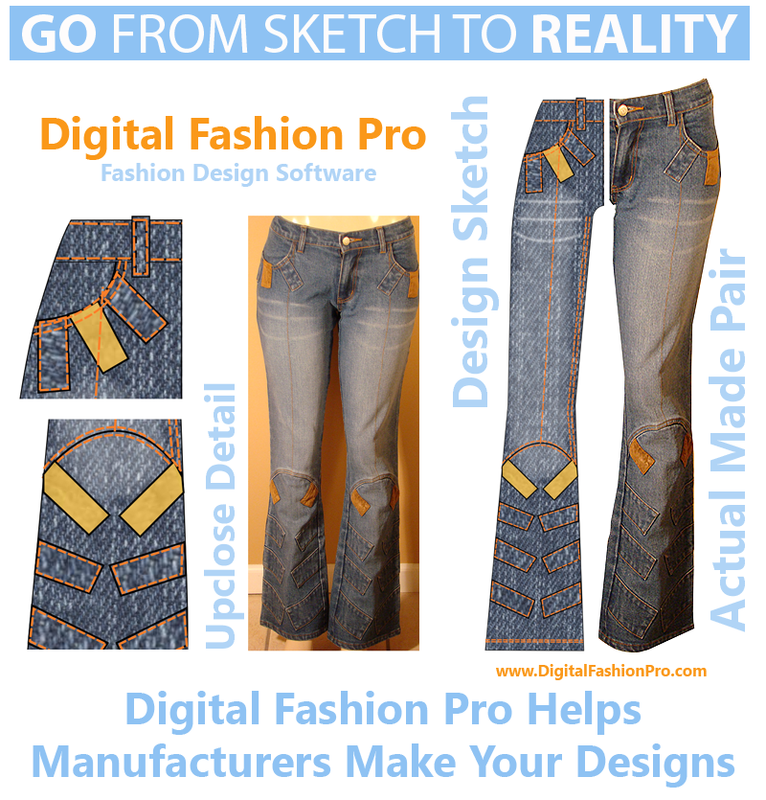 Possible design tools could be using a fashion designer software program or hand sketching etc. If you can’t draw or you just want to skip ahead and have your fashion design manufacturer ready then using a fashion illustration software program is a must. The cool thing is the clothing design software could make designing easy and give you professional results. Some systems like Digital Fashion Pro come with clothing templates that make it easy for you to jump right in without having to draw the silhouette. You can immediately go to adding your design aesthetic to it etc. Create your fashion sketch with different fabric textures and colorways. If your design calls for you to create artwork or a print – create that. More than likely you will need software to accomplish this. Save your design sketch to your computer as a Jpeg, PNG or PDF. Create measurements for your design using your own clothing that you have in a similar style or buy a book on garment measurements. If you are going to work with a clothing manufacturer – you will more than likely need to put your sketch, measurements and technical sketch on a spec sheet. You will want to have a Pantone Color Guide as this is the international way to convey what colors you want to use in your apparel designs. Have a seamstress or clothing manufacturer make the design for you if you can’t sew. Now that you are into designing your own clothes, you may consider becoming a fashion designer or even starting your own clothing line. Again there are many resources online that can help you in this endeavor. 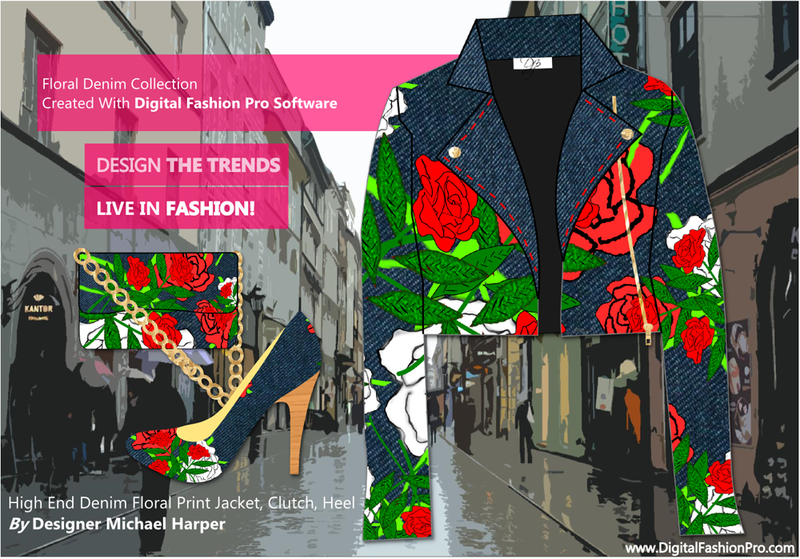 Whether you want to design clothing on your Mac or Windows – Digital Fashion Pro is a fashion design software you should consider. In close, you don’t have to be a professional fashion designer to learn how to design your own clothes. Everyone has to learn and start somewhere. But even as a beginner, you can still create your own clothing if you have the passion to do so. It is not as hard as you may have been led to believe. The main thing is to realize that developing a new skill takes time so give yourself time to learn, utilize resources that can help you and don’t give up. Article by Michael Harper, Co-Founder of StarMyLine.com, Co-Creator of The Fashion Mogul Clothing Line Start-Up Kit.